What plans or goals do you have for the coming year? Share your ideas. In our family, we often make a tradition food called a cheese ball and then take these to neighbors and friends as a way of expressing our gratitude for their friendship throughout the year. Sometimes, we get together with family and celebrate Christmas eve by eating, exchanging gifts, and even playing some traditional games. 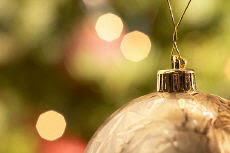 Please share what you and your family/friends to celebrate this day or any other year-end holiday or celebration. I feel that is often difficult to fully understand other people without understand their value systems which, in many cases, is influenced by their personal beliefs. Personally, I believe that people should feel free to share their beliefs under the right circumstances. So, what our funerals or memorial services like in your country? What special actvities, meetings, or food can one expect? Is there anything a person new to culture should be aware of when attending a funeral? Share your ideas. With the expansion of the Internet over the past decade, more and more people are turning to doing their shopping online. In fact, I walked into a shopping mall for the first time in a very long time . . . and didn't buy a thing because I can usually buy things cheaper online and have them delivered right to my house. So, what about you? What are the advantages and disadvantages of shopping in traditional stores and buying things online? Share your experiences. Listen to this recording and share your ideas on this topic. Listen to this topic and share your comments. Listen to this topic and share your ideas. Then, listen to this conversation on my Web site. What quality would help the man in his relationship with his wife? Although many students focus on just passing language tests and classes, the same students often don't focus on mastering a language. In other words, mastering a language means that a person has almost complete control over a language (let's say at the 90% level) verses just being able to get language right 75% of the time. Language mastery requires a lot of work, practice, and dedication. It also requires a constant recycling of the language structures students have learned previously. In your case, what strategies, techniques, or activities have you used to improve your language skills? Listening to this recording and share your ideas on the topic. Most learners focus most of their time on learning language skills, including grammar, writing, and reading, without regard to other equally important aspects. Too often, I have seen students who have learned a great deal about the language, but lack the cultural sensitivity to effectively interact with people. Someone once said that a person who speaks a language, but doesn't know the culture is a fluent fool. Unfortunately, most students don't fully realize that they don't live in a vacuum. In other words, they often don't realize that culture and language go hand in hand. You can't divorce the two. As you learn the culture of another people, you become a more effective communicator and a more sensitive person overall. The word "freedom" might have different meanings to different people. Personally, I enjoy the freedoms I enjoy of being able to express my personal views in public and the freedom to disagree with local and national political leaders if I feel policy needs to be changed. I also enjoy being able to walk down the street and enter into any church---even if it isn't of my own faith---and talk freely and learn from people of other religions whether I agree or disagree with their beliefs. So, what does freedom mean to you? Please share your ideas. 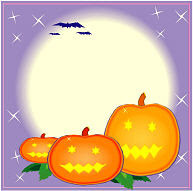 Halloween has arrived in the United States, and many children will be out tonight Trick-or-treating. However, a growing tradition in some areas is called Truck-or-treating. For years, some parents have expressed safety concerns for their children (traffic, strangers, pranks), and in response to this, some people have organized Truck-or-treating: families decorate their cars or car trunks, meet with their cars in a local parking lot, and pass out candy. They might also have dinner together. This can be a fun alternative to traditional door-to-door Trick-or-treating . . . and it can be a great social event with family and friends. Do you by chance have any similar holiday in your country or area? Learning the language but not the culture of a particular country or area can lead to great misunderstandings. In particular, I have seen many cases in which stereoptyes---often negative mental images of another people---have led to great misunderstandings. Often, people think that their way---raising a families, eating, dating---is the best, or even, the only right way, and when something new comes along, they quickly reject other ideas. Can you think of a time when you experienced misunderstandings dealing with culture? Share your ideas. I passed these beautiful wild horse on my run. Tell us about one scenic or historical place in your country that would be of interest to visitors. In one of my grammar classes, a student told me that it was her goal to speak naturally like an American, and she was surprised when I replied, "Are you sure you want to speak that way?" Not knowing what I meant, she tried to clarify herself by saying that she wanted to speak informally to sound like an American. (As if there were one type of American speak . . .) She continued by saying that Americans don't care about grammar when they talk. However, I tried to explain to her that in many cases, native speakers have no idea that what they are saying is grammatically incorrect, so you might not want to emulate a native speaker in all cases. As a simple example, what is the problem in this sentence? - The girl is tired, so she wants to lay down. This is a very common mistake that native speakers make. Therefore, just trying to sound like a native speaker isn't enough if you are really concerned about a professional level of English. Have you ever grown a garden (small or big), and if so, what did you plant in it? If you have never planted a garden, what are the reasons: climate, space limitations, no interest, etc.? Do you think there are advantages in growing your own food verses buying it at the store? Are there some foods that you just couldn't plant in your part of the world? Do you predict that there will be more food shortages in the world in the future? If so, why? Share your ideas on the topic. Social networking sites like Facebook and MySpace (and many others) have become extremely popular these days; however, there is ever increasing discussion on how these sites benefit users as well as affect users negatively. Do these sites promote better communication and improve old and new relationships, or do they distract users and affect their productivity at school and work? What are your feelings and experiences on this topic? The video below is the first half of the presentation; you can view the entire talk by visiting the link above. Pet Care: How can animals affect our lives? For many people, pets are a part of their everyday lives; however, the types of pets people own and how they care for them can differ greatly from person to person based on experience, living conditions, local laws, and other cultural reasons. In this video, I share a little bit about some of my pets. What has been your experience in raising animals? How can they help us emotionally and physically? Although there is a great desire by many to learn English as a second or foreign language, it is by no means the only key language in our global communities. With developing economies around the world, other languages are becoming more important. Therefore, besides your own native language, what other languages are important to carry out business, trade, and just everyday communication skills in your communities? How will this change over the coming years? Have no fear! I will continue to make this blog an important part of my online activities, and I encourage visitors to continue to share their ideas here. Thanks for being a part of this site. Over the years, I have taught listening/speaking classes that range anywhere from 1-2 students to about 50, and each type of class brings its own rewards and benefits. However, for you personally, what is the ideal size for a listening/speaking class? Are their advantages to having smaller or larger classes depending on our goals? How much of a role does the teacher have in the learning process regardless of class size? For many years, I have taught grammar classes, and I often teach advanced-level students. However, in many cases, although students have passed their previous classes to reach the advanced level, they still make many mistakes with basic grammar they should have "learned" in other classes. In other words, while they had a passing score to get to the next class (let's say, 75% or so), they were still missing about 25% of the content. The result is that students have so many gaps in their learning that they haven't mastered the language at all. The common causes are (1) that teachers often don't recycle or test concepts that the students learn in previous levels and (2) students assume that a passing grade is sufficient for them and then they fail to review and learn the parts they didn't know in the first place. Students just assume that since they are in the advanced class that they are advanced learners when they really lack a full, comprehensive, and solid grasp of the language. What teachers can do to help students is to constantly recycle and test all of the gramamr points from all of the classes instead of just teaching new concepts. The more a teacher builds upon earlier grammar points, the more students can apply them better. So, what has been your experience in studying grammar? What has helped you the most in learning or mastering the language? What can teachers do to help you? Please share your ideas. For the most part, I teach grammar classes to ESL students in an intensive language program in the United States. One of the challenges my students face is that although some of them have native speakers as roommates (or at least associate with native speakers often), my students often feel confused because their friends don't always use the grammar we study in class. In fact, native speakers break the rules quite often or don't even know how to use English correctly, either by choice or ignorace. I'm tired, so I want to lay down. If I was in your situation, I'd go to the party. Not getting enough sleep can effect your school work. The student sleeps in class everyday. I tell my students that if their goal is just to learn English casually for daily conversation, then knowing how to use the grammar precisely isn't as important as if you are studying the language for academic or professional purposes. Keep in mind that this is probably the same case in every language. People tend to use language that their peers and family use, whether it is correct or not. Any comments on this? I'd be interested in hearing your opinions on this. I hope you are enjoying your summer. Over the past few months, I've been creating a number of language and cultural videos to help students practice their listening skills. They deal with common situations I experience regularly living in the United States. You might find them useful for you. Visual Search Engines: Do they help students find information better? Most people have used Google to find information on the Internet, but fewer people have ever used a visual search engine to location information. The Web site, Searchme.com, is one such Web site where you can preview pages before you look at them. Currently, I am doing some research on whether such search engines are less, more, or just as useful as something like Google. If you have a moment, please take my survey on this topic, and/or share your opinions. Try using a topic with key words like "cell phones cheating" or some other topic in both Google and Searchme.com. Which search engine helps you find information? I suggest reading the entire page so you understand the project's purpose. Often times, my students tell me that native English speakers talk too quickly, and then I respond by saying that they listen to SLOWLY. We often laugh about this, but I try to help my students realize that the issue is that native English speakers often reduce some sounds in what is called relax speech, which is hard for students to understand. I want to go to the party. I wanna go ta the party. I have to call him tonight. I hafta call 'im tanight. Besides understanding fast speech, what other factors do you think affect a student's ability to understand a language? Share your thoughts on this topic. The idea and concept of the word, "freedom," can vary from person to person and place to place. Personally, I appreciate the freedom to share my beliefs and ideas with others without fear of action against me. If I want to, I could stand in a park and pass out information on my personal views, and I allow others to do the same. However, with freedom comes responsibility and respect and potential consequences. Freedom doesn't mean you violate the freedoms of others. For example, I don't smoke, but in the area where I live, people are allowed to do so as long as it is within local laws and ordinances. If I violate somone's freedom, then I could be arrested. So, what does freedom mean to you? Are there certain freedoms that you wish you could enjoy? Share your ideas. The one thing I've learned in traveling throughout the United States and the world is that local customs, history, and geography play a role in the food of the area. In particular, the image of the ideal or perfect meal varies widely, and you can expect that everyone has eggs, toast, bacon, hash browns, and tall glass of orange juice for breakfast. Therefore, if I visited your house for breakfast or dinner, what would be the ideal meal to serve to meal so I really had a flavor for the food and customs of your area? Is there any unique food of your area that I might never have tried before? Share your ideas on this topic. Let's supposed that you need to write a paper about the effects of smoking on a person's health. Which search engine would you use to collect information and why? Share your thoughts on the topic? I will be holding a limited number of online presentations called, "Seven Keys to Boosting Your Listening Skills." 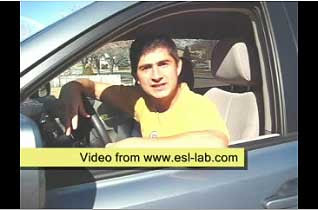 This can be a way for ESL classes to interact with me on language learning online. More about this will be coming. Favorite Song: What's the Message? Music and song provide enjoyment to people for various reasons. For some, it's an escape or just a way to relax from the tensions of the day. For other people, music provides a soothing way of relaxing and even reflecting on the meaning of life. Personally, I gravitate towards music that has some didactic or practical lesson of life---something that teaches me about some aspect of life. One song I enjoy is from the Pixar movie, Cars, by Brad Paisley. The song, Find Yourself, is about finding out who you are. Many times, you only discover who you really are when you get lost and find yourself in difficult situations. Discovering the meaning of life often doesn't happen during times of comfort and convenience. For me, I have learned more about myself in times of great difficulty or during times of emotional struggles. Someone once said: "Smooth seas never made skilled sailors." As it turns out, no one will escape this life without disappointments and unexpected loses. The trick is to enjoy life in spite of challenges. Now, share your favorite song and tell us what it means to you. If I had Invented the iPod . . . There are times perhaps that people wonder how their life would be if something or the other had happened to change the course of life's events. If only I had more money . . . . If I had been born into wealth . . . If I hadn't chose this major in school . . . Perhaps it isn't worth imagining the unreal. HOWEVER, if you personally had invented and come up with idea for Apple's iPod, how do you think your life would be different today? Would you be still be doing the same thing, in the same job? How would you spend your time and money? Right now, there is a great amount of uncertainty about where our future is taking us, particularly with regards to our financial situation and even world peace. So, if you could look into a crystal ball and predict your own future, do you think you will be better off financially and happier in 10 years from now, about the same, or in worse condition than you are now? Please explain your feelings. So, what did Randall do to celebrate Valentine's Day with his wife? 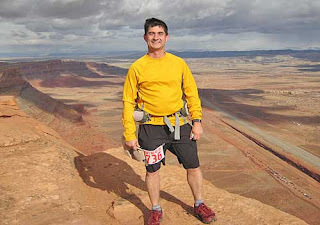 Well, I'm somewhat crazy, but I ran an Ultramarathon (a trail race longer than a marathon at over 50 kilometers) in a southern part of the state of Utah near a famous national park called Arches. It was a really hard endurance run, but my wife supports me in my crazy activities. She was waiting me at the finish line. It took me almost 8 hours to finish the race. After you've been married more than 20 years like I have, couples do a lot of unusual things to support each other . . . love is great, isn't it. I have discovered that getting away from computers and enjoying nature is just a more peaceful and relaxing way to spend my time. My wife and I enjoy running street races as well, but we're not fast. Just participating in a running event, whether your first or last, has its own reward. The Swine Flu: How concerned are you? The spread of the swine flu is of recent concern, and many people are worried how this illness will eventually affect their lives. The potential effects could result in social, health, and economic changes. How concerned are you about how this flu or others like it could affect you now or in the future? Also, what other serious health concerns do people have in your area? Share your ideas on the current and potential effects on your life. Getting Advice: From Mom or Dad? When you have problem in life, who do you turn to first: your mom or dad? Of course, friends are important in making decisions, but if you had to choose between your mom or dad for help, who would you ask? Does it depend on the situation and topic? If so, share your experiences and feelings about this topic. You need advice about breaking up with a girlfriend or boyfriend. You want to borrow money for a trip to Europe. You failed some classes at school, and you might be kicked out of the university, but you have to tell one of your parents your situation. You don't know how to find a summer job to earn money for school. You crashed your parents car while speeding, and you need to tell them. If for whatever reason you can't ask a parent, who would you turn to for advice? The Economy: Getting better or worse? The economic situation around the world has being going through drastic changes in recent times, but how has any economic downturn in your country affected you personally? Have you had to cut back on certain expenses such as food (eating out), entertainment, and transportation? Do you think life for your kids and grand kids will be better, worse, or about the same in the future? Positive Thinking: What if you could change the world? We live in an imperfect world, and many people suffer from personal, social, environmental, medical, and even political problems, but if you had the power to change one thing in the world for the benefit of others, what would it be? Share your idea and explain why your choice would make a difference. English Skills: Which is most important to you? Please share your ideas and experiences on this topic. Computer Viruses: What can you do to protect yourself? Computer viruses can be a real problem for business and home computer users. So, what techniques to virus creators do to try to infect your computers? What can people do to protect themselves? Has your computer ever been infected with a virus? If so, what happened? Share your experiences. Driver's License: A right or a privledge? Many people have different thoughts on whether getting a driver's license is a personal right of society or a privilege that should be earned, and not just given. Furthermore, if teenagers have a driver's license, what are they family expectations for how and when the person should drive, and what they are expected to pay for. Do you think such rules would work in your own family? Why or why not? Please share your ideas. One of my newest projects at my Web site is the development of language and culture videos on aspects of US culture, including family, pets, movies, and education. 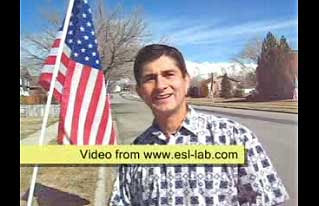 Now, you can not only hear language, but you can also see me talk about it and life in the US. Let me know if you have an idea for a new video. School Lunches: Something from home or eat out? For most high school students in your country, do they eat lunch prepared for them in a lunchroom at school, do they bring something from home, or are they allowed to leave school to get something near by at a store or restaurant? Also, how have food choices and tastes changed over the years? Please share your ideas. Household Chores: Who does them in your house? Right now, it's Saturday morning at a 7:00 a.m. and my kids will be getting out of bed soon. For us, Saturday is a time when we do our major household chores for the week. Actually, our kids have to do a smaller chore everyday except for Sunday, but this is the day when they are assigned a chore inside our outside the house. These chores might include cleaning the bathrooms or pulling weeds around the house. My wife and I feel that this helps them learn responsibility and how to take care of themselves once they move out of the house. So what about in your country or family? What are your family or cultural expectations on who is responsible for cleaning around your house? Do you feel it is important for children to do such work? Why or why not? Please share your ideas. Valentine's Day: How do people celebrate this day? Many cultures around the world celebrate Valentine's Day in one form or another. How do people celebrate in your country? Do men and women exchange gifts on this day? Do people participate in any special activities? Please share your ideas. Family Size: How many children are ideal? We sometimes hear in the news about couples who have very large families of ten or more children, but is there an ideal number of children a family can and should have? 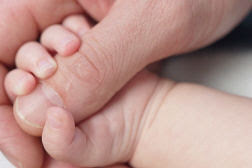 What factors (emotional, spiritual, financial) should help determine whether a family should have one or more children? How many children are in your family and what have your parents done to raise you successfully? Share your ideas. Friendship: What does it mean to you? Having good friends is important in life, but what do you think are the qualities in a good friend? I mean, what does this person do or say in order to be and remain your friend? Personally, I feel that a friend is a person who listens to your ideas, concerns, fears, and questions without passing judgement on them or even giving you advice. In fact, most people don't necessarily want their friends to solve all their problems, but simply to listen and validate their concerns. A good friend is also a person who recognizes when they don't have answers and can suggest to others when they might need professional help from a therapist or advisor. So, what qualities do you look for in a friend? Share your ideas. Feel free to suggest your own favorite language-learning materials. 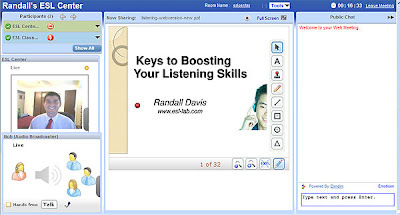 From time to time, people ask me about my favorite listening activities on my site, Randall's ESL Cyber Listening Lab (http://www.esl-lab.com). It is sometimes hard to pick which ones because my family and I have created so many over the past 10 years. However, here are some of them, based on topic and personal interest. A story of a man who was approached by an alien creature. Or was it? A man has real problems trying to get his car fixed in a small town. A man encounters a few surprises at his hotel. Has something like this happened to you? A woman tries to buy a car from an interesting salesman. Disaster strikes a man who gets the hair cut of his life. What do you think happens? A teenager has a car accident, but who's fault was it? Listen and find out. A girl is going out on her first date with a guy name Dirk? How do things turn out? A man tries to bargain with a seller in a street market. What problems does he encounter? A man is stopped by the police? Why and how does the driver talk himself out of his situation? Please let me know what types of materials and topics you would like to see in the future. New US President: What does it take? The US will have a new president tomorrow, and many people around the world hope for positive change that will affect everyone. In your personal opinion, what does it take to be a great leader? What qualities do you admire in a leader? Are there any particular great leaders from your own country that have had an influence on your nation? Share your thoughts on this. Time Running Out: What would you do? If you were told that you were dying and that you only had one month to live, how would you spend the limited time you had left? Explain your reasons for your answers. Personally, I always realize in the back of my mind that this happens to people everyday. So, for me, I'd probably spend my final days with my wife and kids, telling them about my life, sharing words of wisdom, and just having fun going to Disneyland, hiking, sitting out under the stars, and telling them how much I love them. 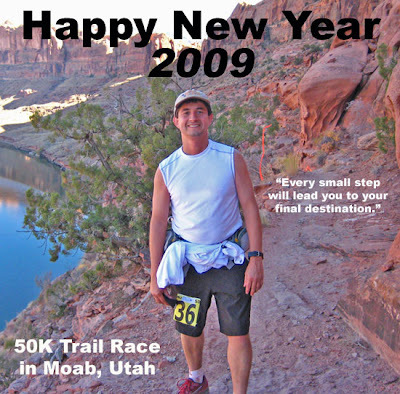 I want to wish all of you a Happy New Year, 2009! What do you usually do on this day to celebrate the new year? Share your thoughts. Personally, I am spending the new year with my family, and we will probably play games, watch TV, and tell stories.